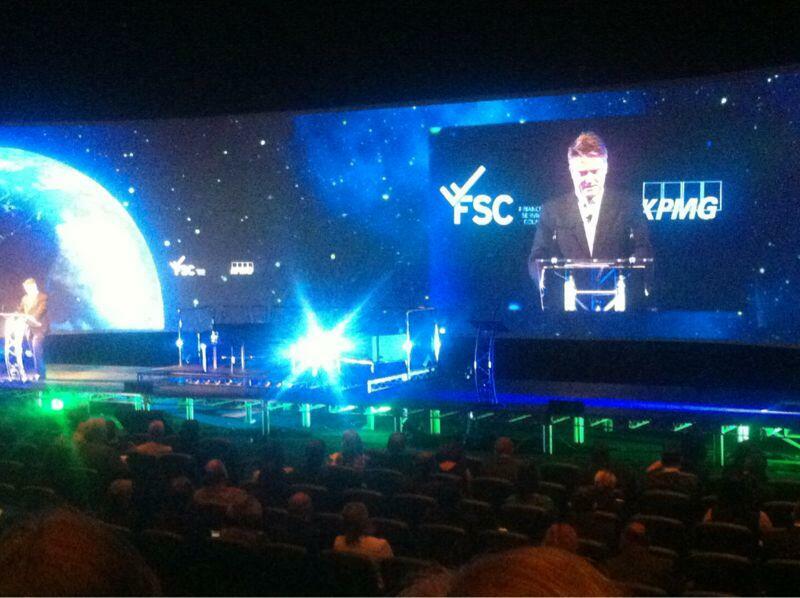 There was a sense of homecoming on Day 1 of the 2013 Financial Services Council conference (#FSC13 @finservcouncil). @bowenchris was warmly welcomed back by a generally supportive crowd, in his new role as Federal Treasurer. Aboriginal dancers welcomed delegates in a moving display of traditional dancing and fire-starting. The regulators (@ASIC_Connect and APRA) shared their thoughts from the couch in the annual fireside chat, ably facilitated by the FSC's Martin Codina. And delegates obediently queued, school excursion-like, for the bus trip to an offsite venue for pre-dinner drinks prior to the traditional Day 1 private dinners. Brisbane may be a one-time home of mine - but the homecoming vibe wasn't about the many former Queenslanders flying in. Or even about the many industry veterans reconnecting for the annual conference. It was about an industry settling in itself after several years of intense regulatory reform, post-GFC turmoil and the resultant upheaval. Change really now is a constant. But the sense now is that with both sides of Government committing to stability in super we may in fact get what we are promised - predictability. You can find a link to the official media coverage here, courtesy of the good folk at Financial Standard.